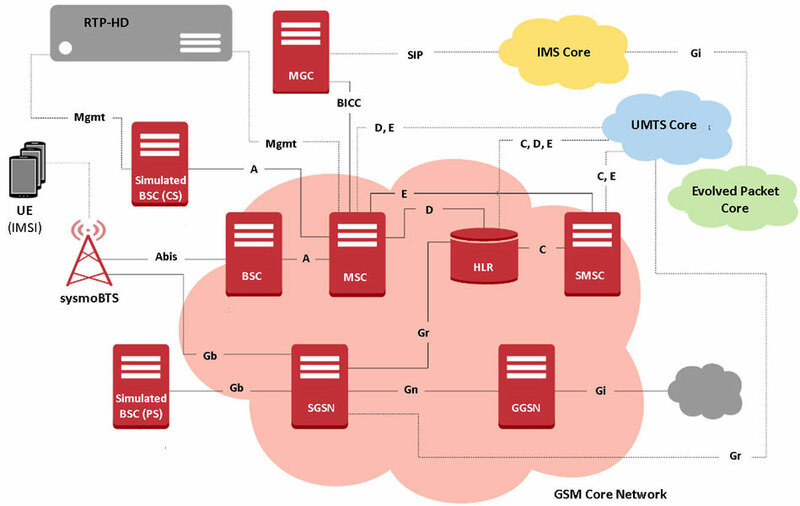 GL offers an End-to-End 2G and 2.5G GSM GPRS Wireless Network Simulation Test Suite with all components such as Base Station, RF channel, GSM core network elements such as BSC, MSC, HLR, and GPRS core elements such as SGSN, and GGSN to support mobile call and traffic emulation. The lab system can operate with real mobiles, or simulator user profiles. One can setup a complete virtual real-time network simulating all the network elements, or any of the network elements in the above architecture can be replaced with user's DUT to perform single interface, multi-interface, or wrap-around testing. Complex scenarios such as handovers can be achieved easily.. Simulate multiple instances of nodes in network such as MSC, BSS, SGSN, and GGSN to perform functional and load/stress testing. Verify your latest mobile features over the network with various types of traffic generators and receivers. 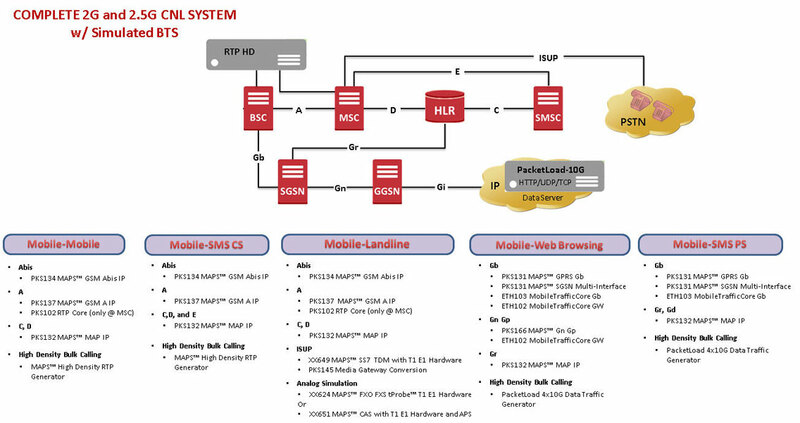 In addition, with MAPS™ HD RTP appliance you can generate high call intensity (hundreds of calls/sec) and high volume Voice and SMS calls (thousands of simultaneous calls/platform). CSV database system is used for massive UE simulation. The CSV file is divided into three sections: GSM, UMTS, and LTE identified by Subscriber Type variable. 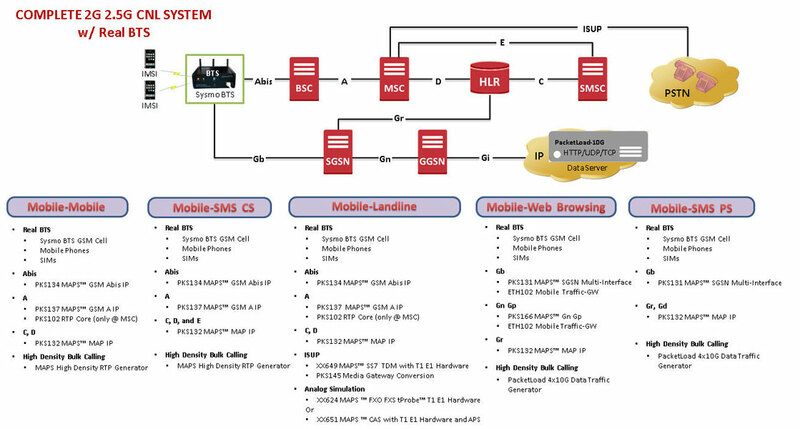 And “n” number of UE configurations can be saved within a single file which can be shared across 4G/3G/2G networks simulating inter-networking calls, roaming calls, data sessions, and bulk GTP traffic generation. What you need for setting up 2G Lab?